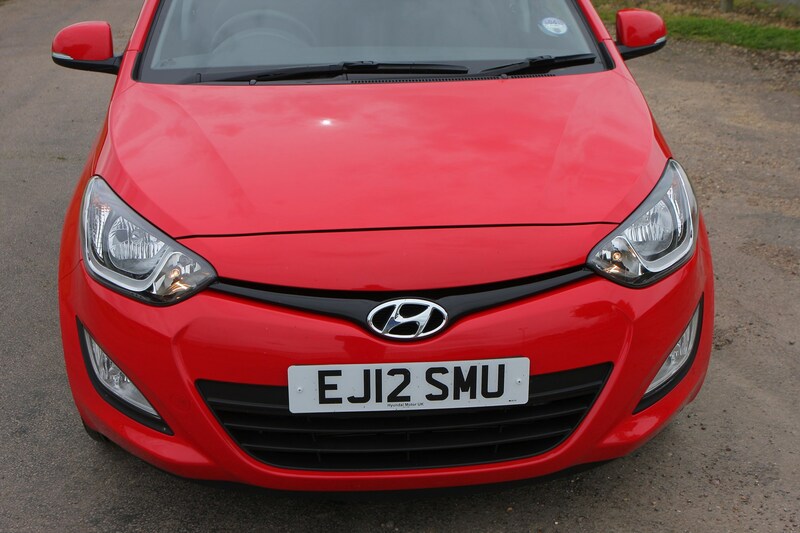 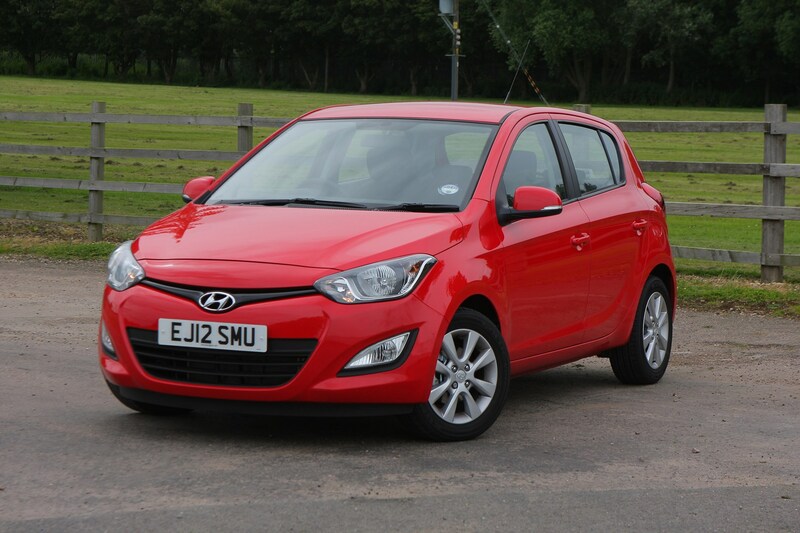 This car has been superseded by a newer model, click here to go to the latest Hyundai i20 Hatchback review. 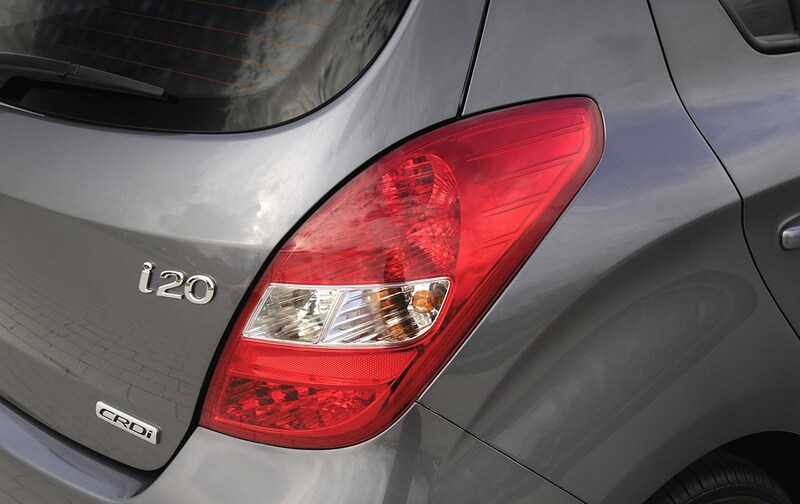 Insurance group: 4 - 12 How much is it to insure? 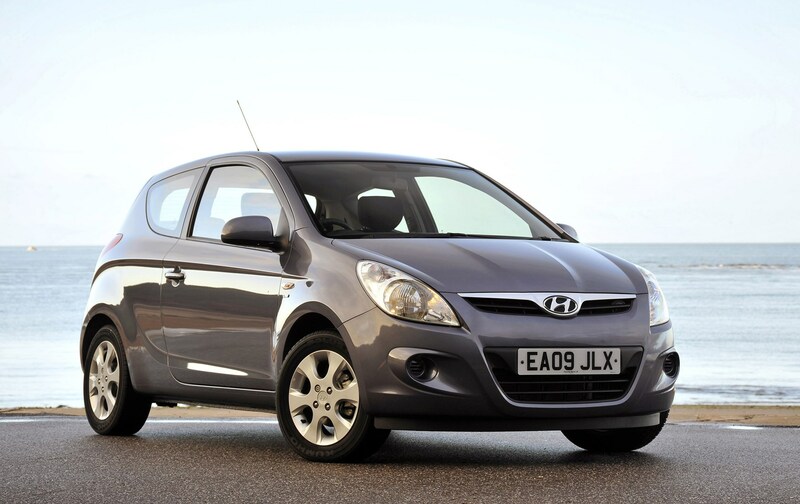 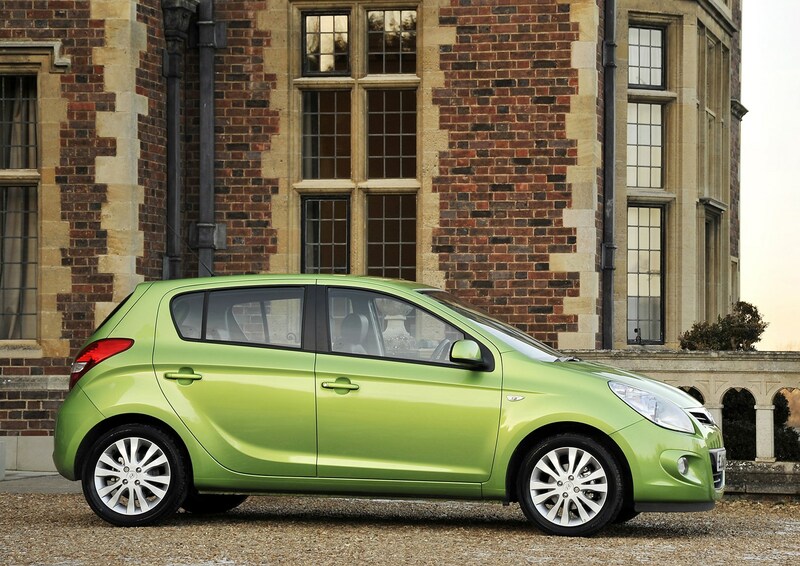 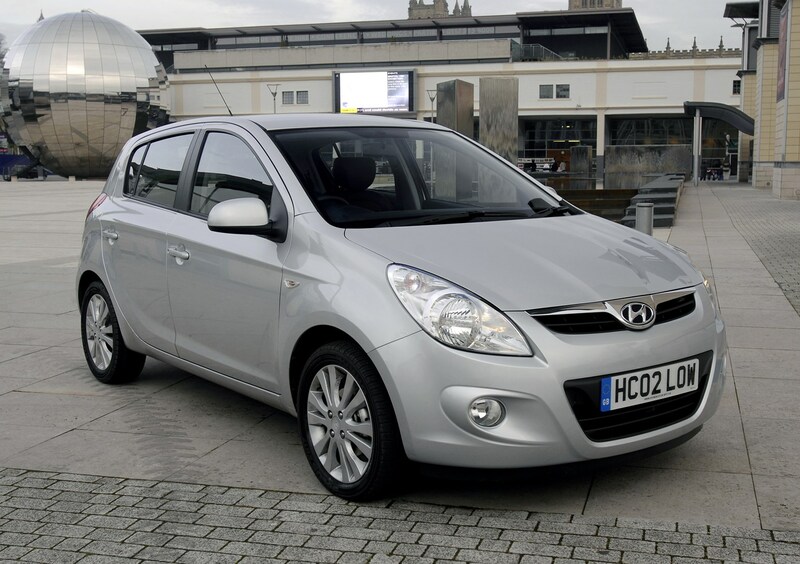 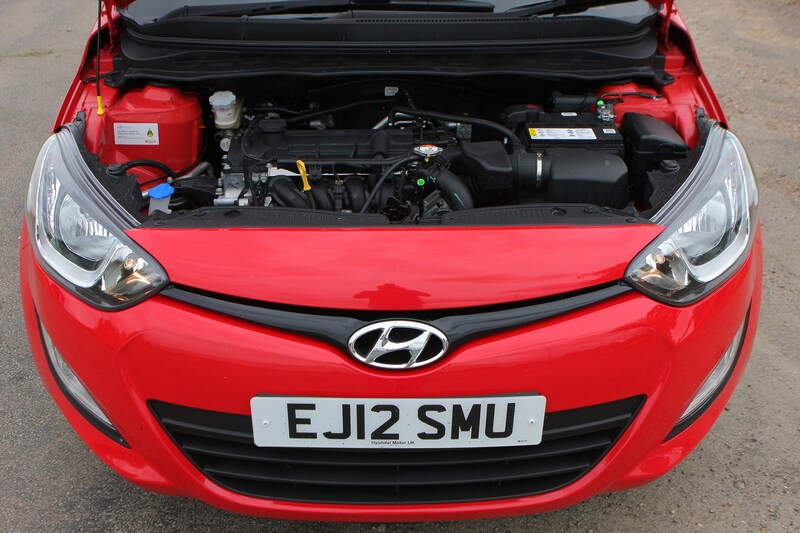 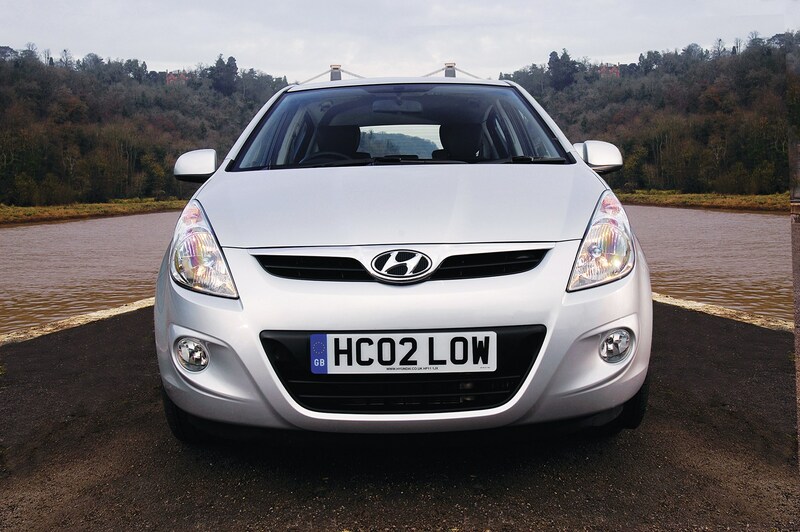 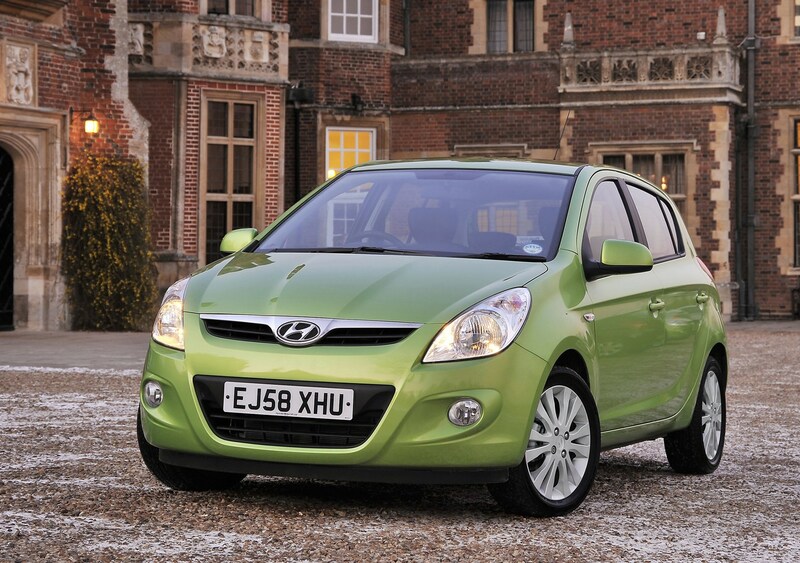 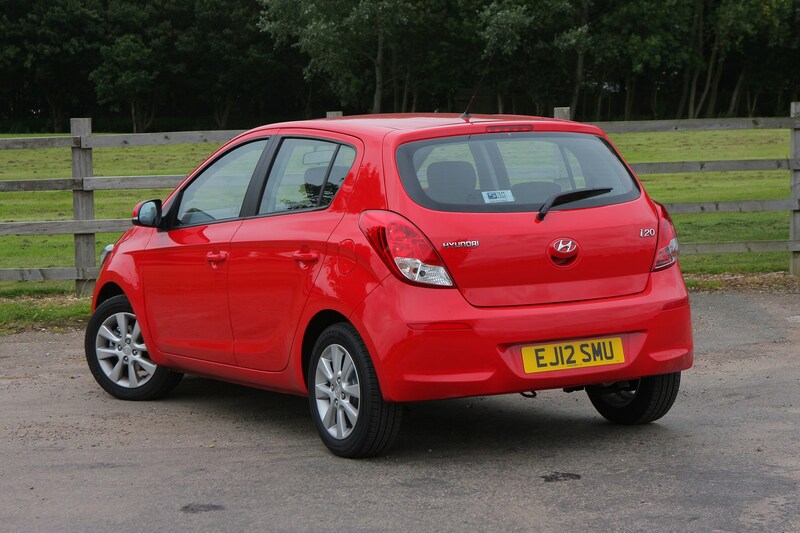 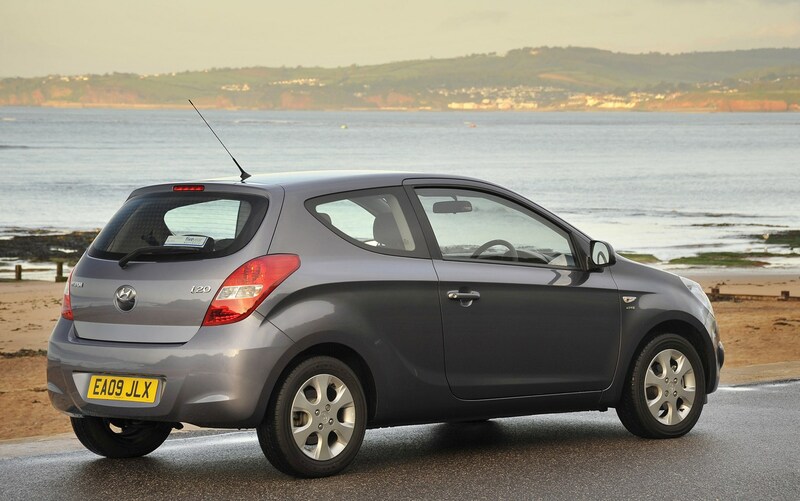 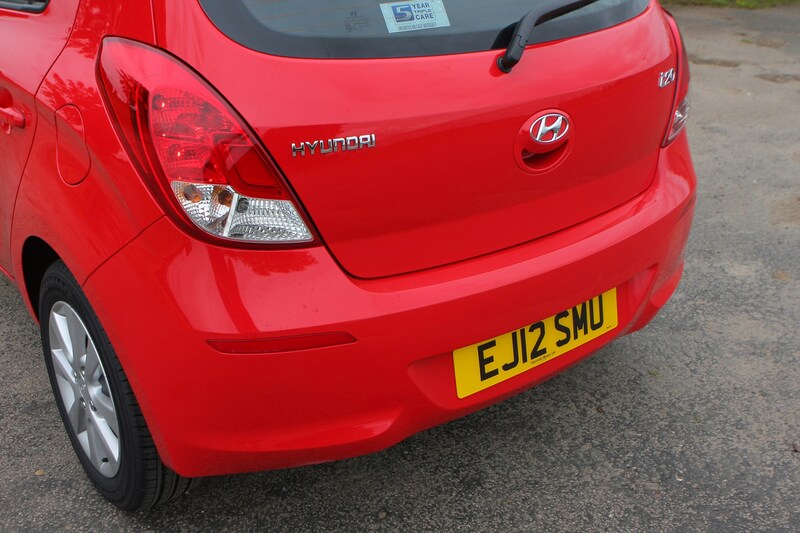 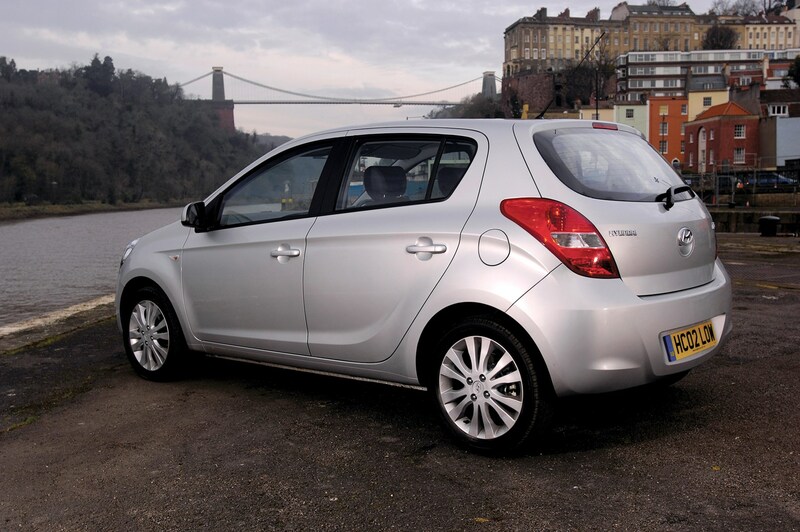 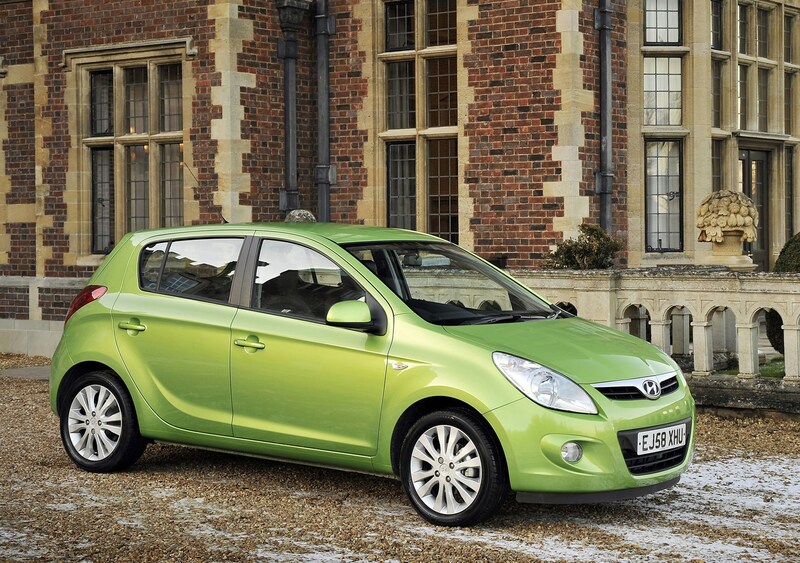 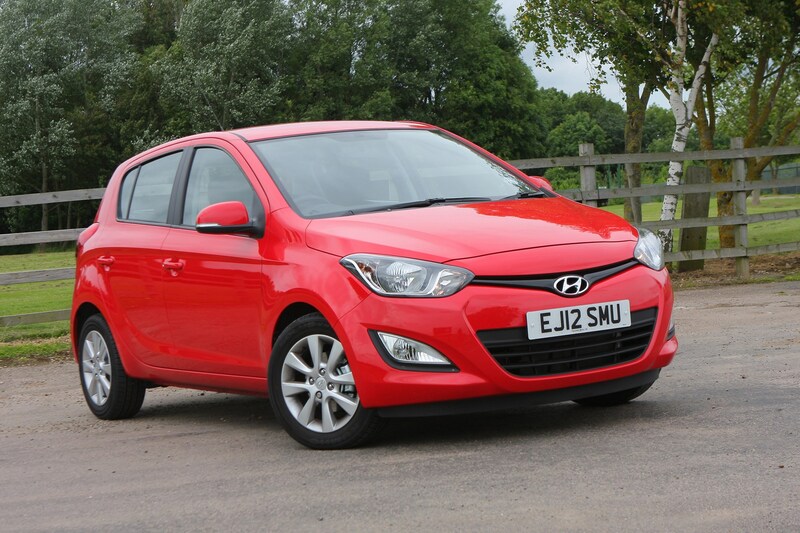 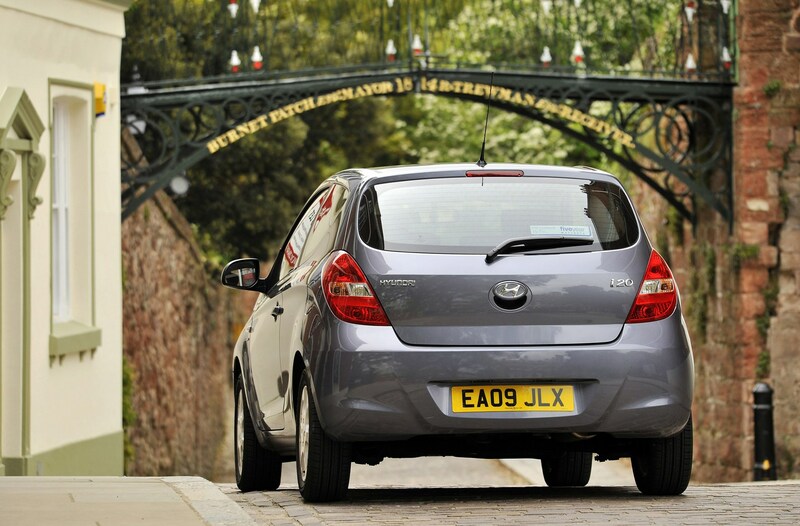 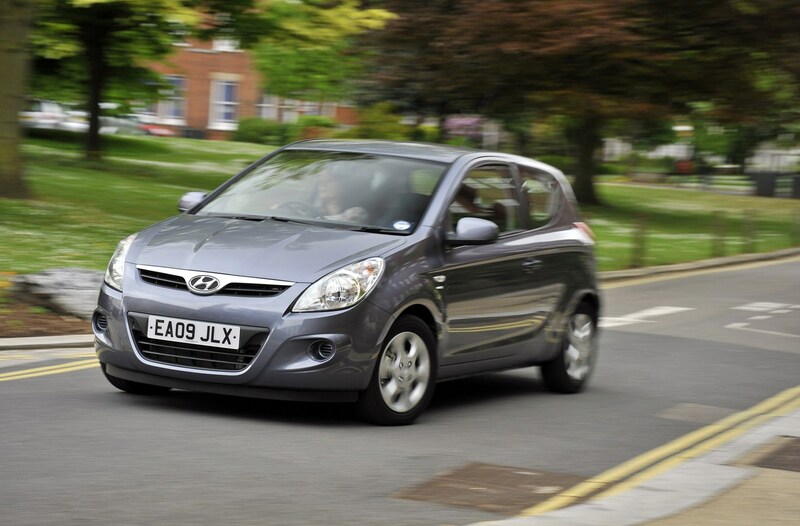 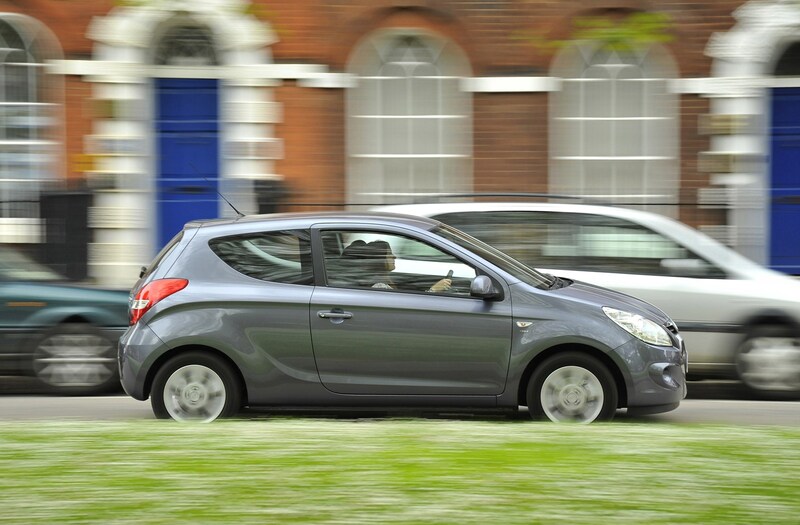 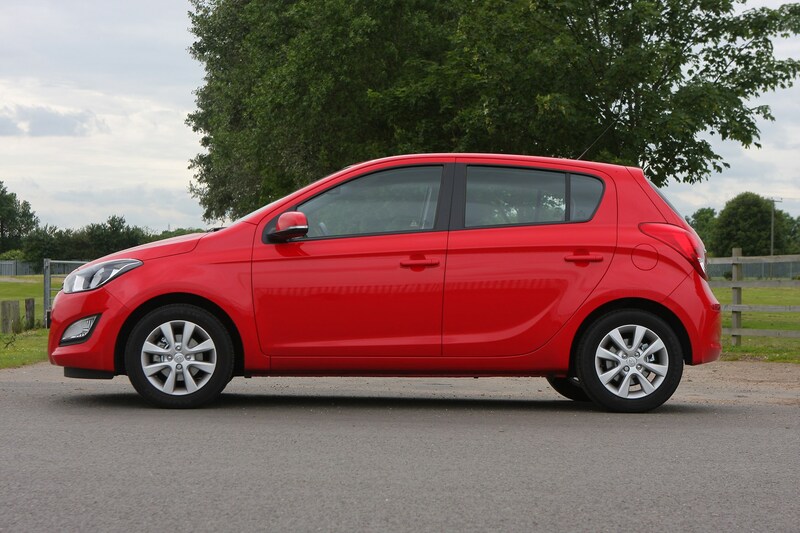 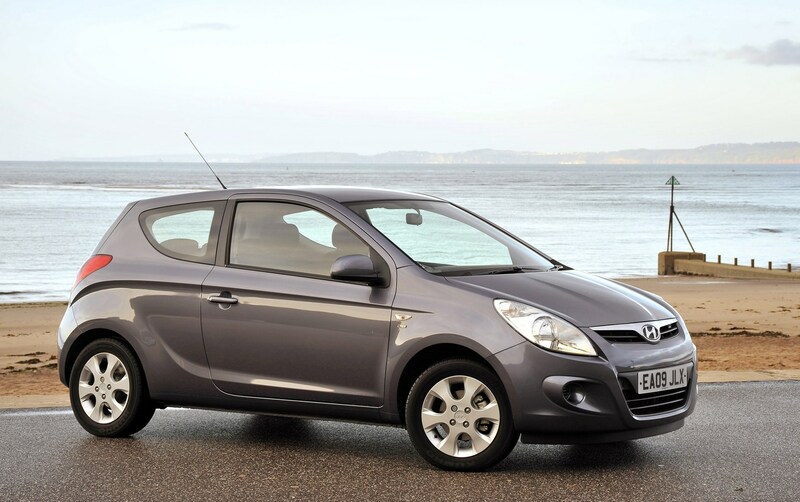 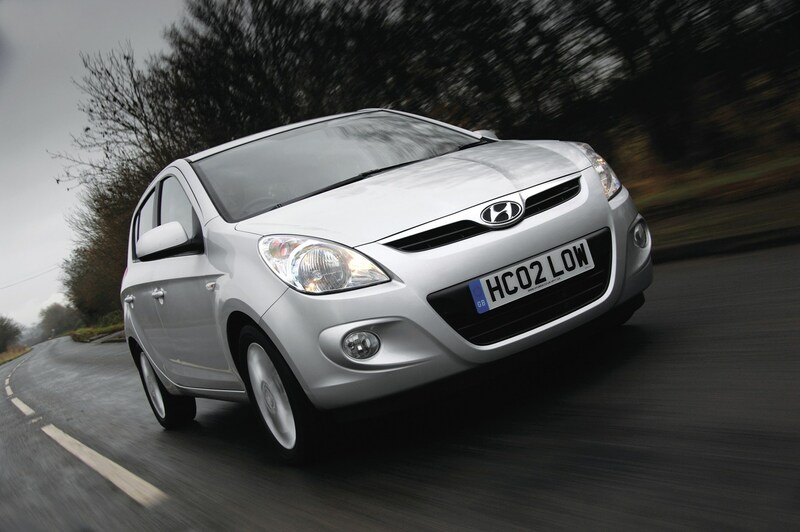 The Hyundai i20 is the firm’s replacement for the Getz - previously its most popular model in the UK. 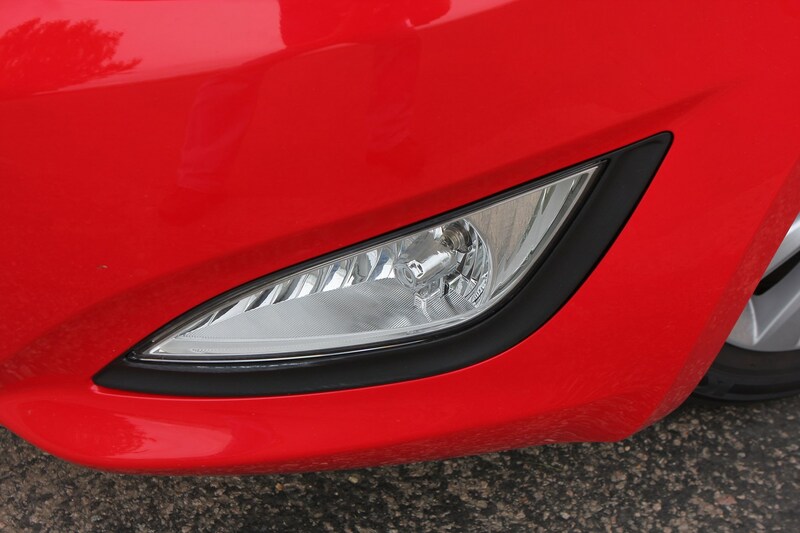 It's a huge step forward from the car it replaces. 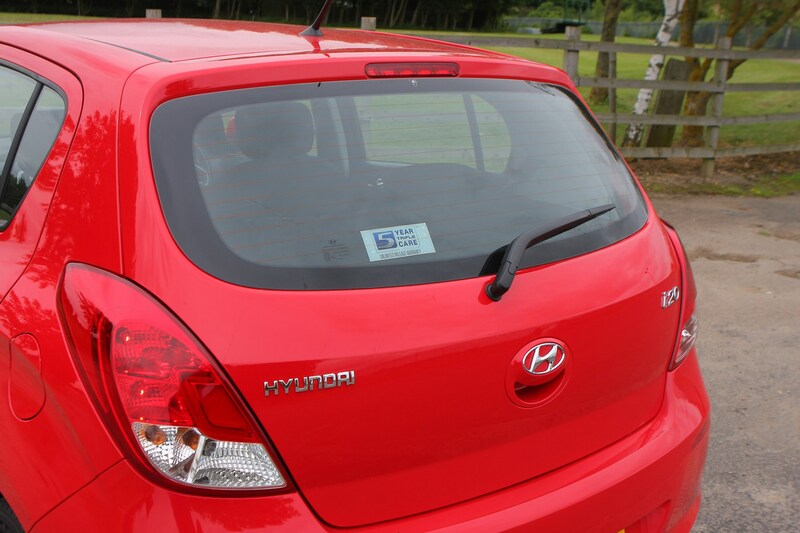 This is a small hatchback from Hyundai that's good enough to be a realistic alternative to models like the Vauxhall Corsa and Toyota Yaris. 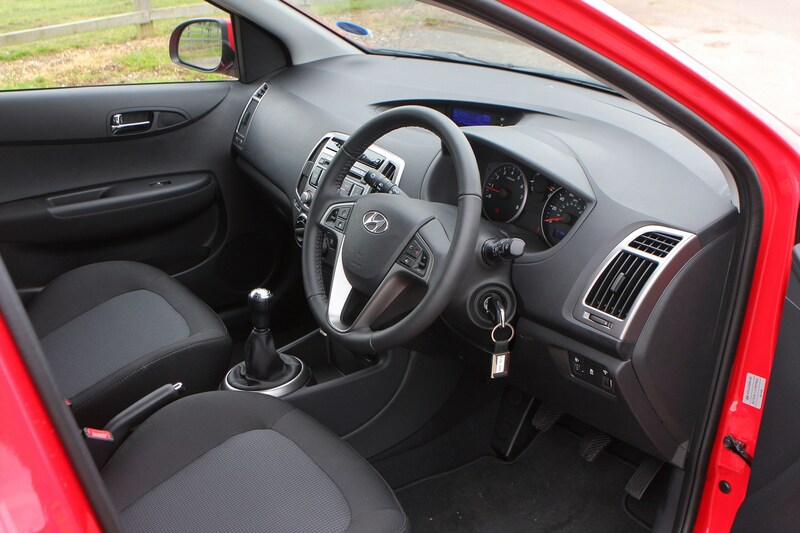 It's neatly styled and robustly built too with a solid and well laid out interior while refinement is excellent - all the engines are smooth and the i20 cruises quietly on the motorway. 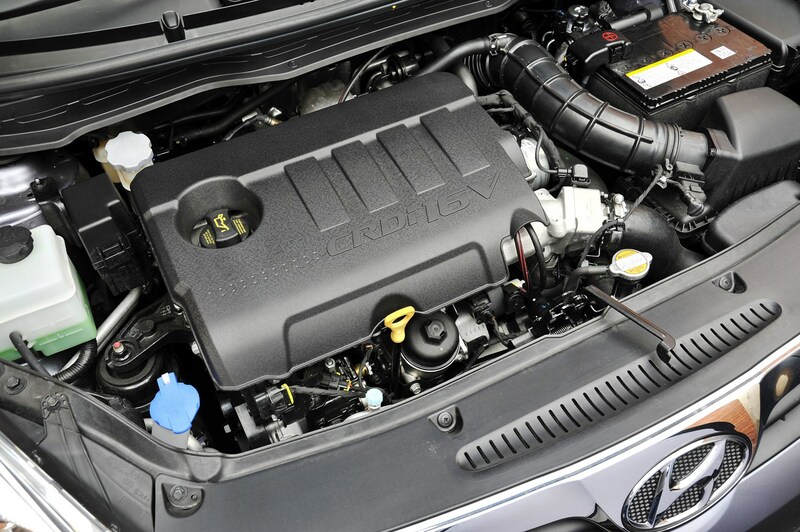 Two new engines feature - a 1.2-litre petrol and a 1.4-litre diesel – alongside a 1.4 petrol and 1.1 diesel, while the handling is impressive and the ride composed. 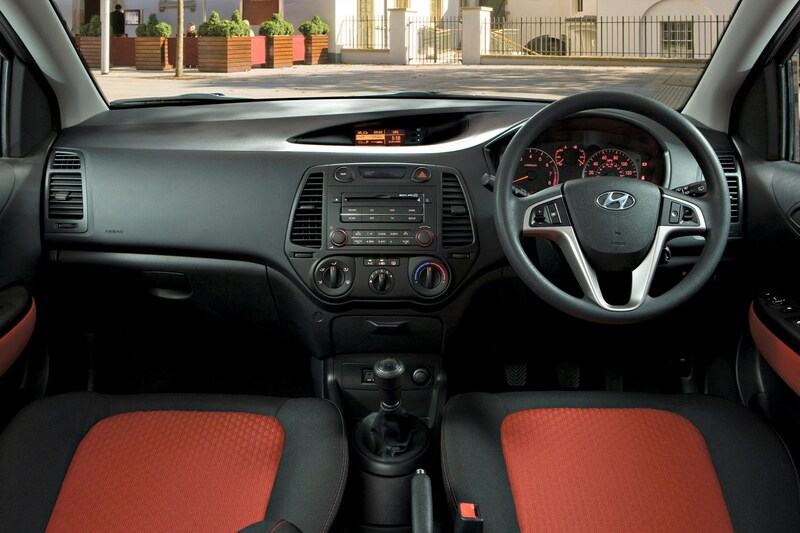 Add in generous equipment levels, even on base-level cars, a five-year warranty plus low running costs and the i20 looks a great package. 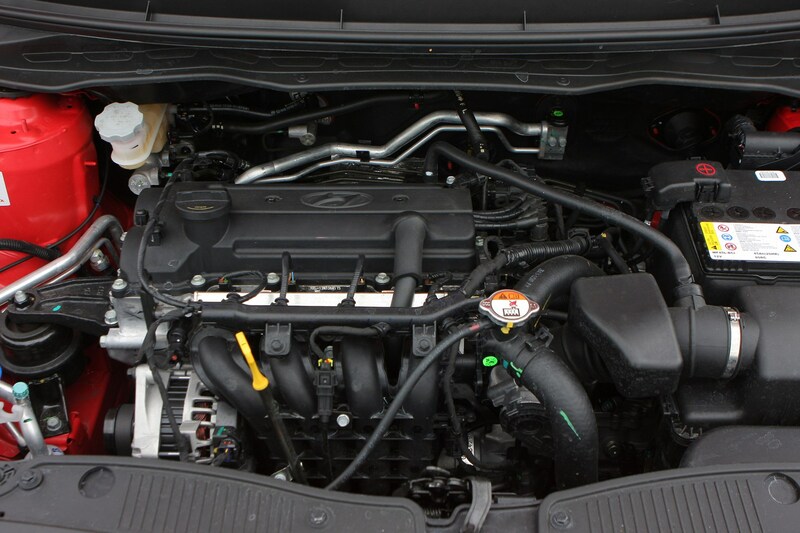 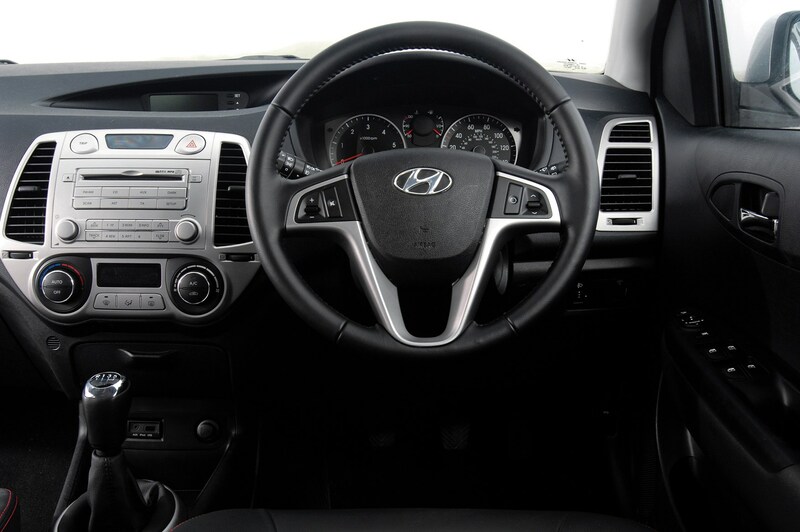 The Hyundai i40 comes with a choice of two petrol or two turbodiesel engines. 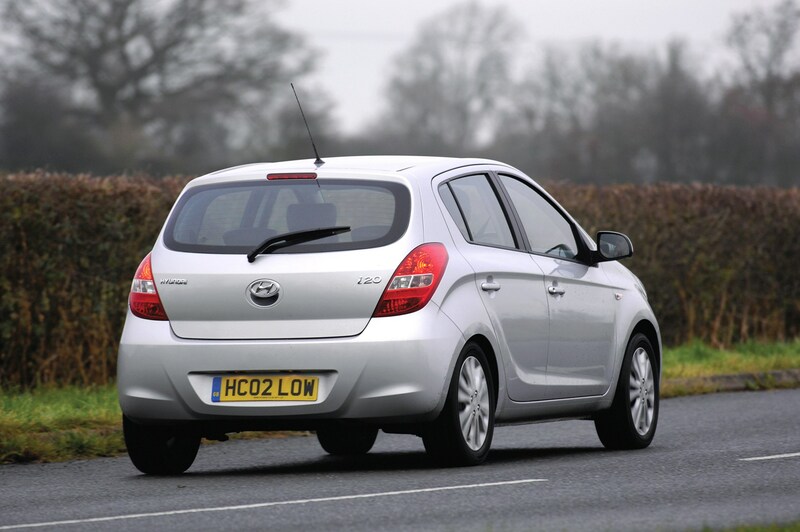 The 1.1-litre diesel is too slow for sustained motorway use, but it’s okay around town and emissions of less than 100g/km make it appealing for some company buyers. 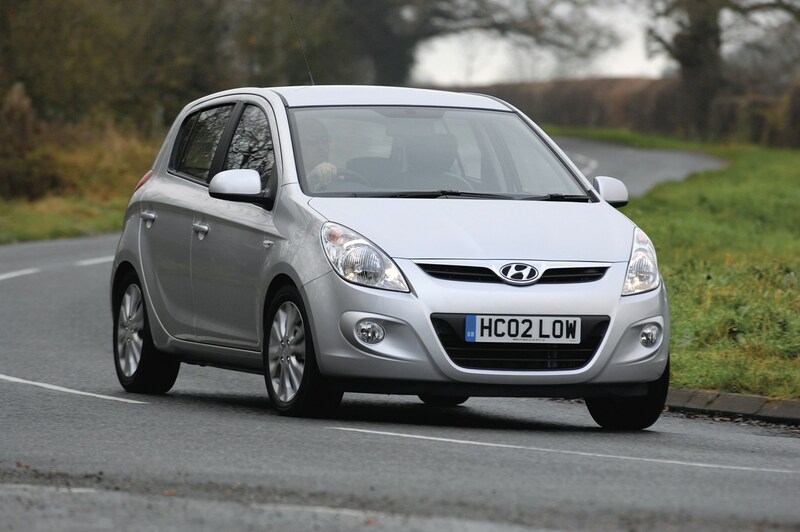 The 1.4 diesel is a better all-rounder and the 1.4 petrol also makes the i20 a capable machine, but the most popular engine is the 1.2-litre petrol motor for good reason: it’s nippy, cost-effective and decently refined. 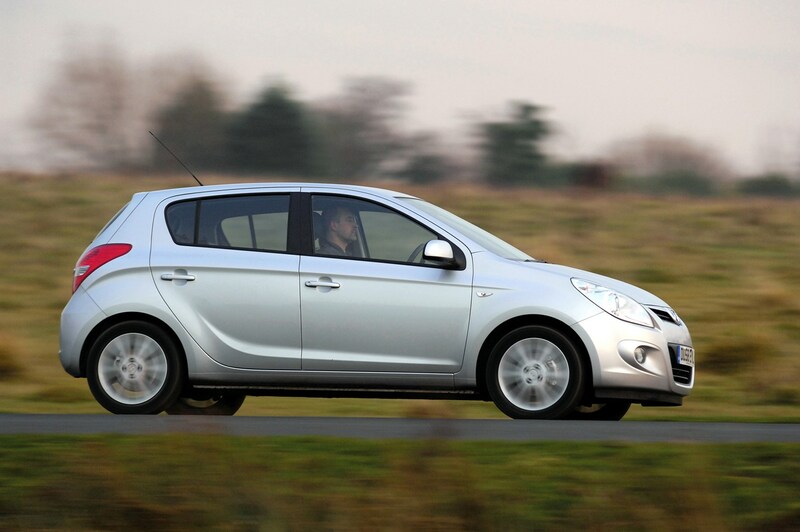 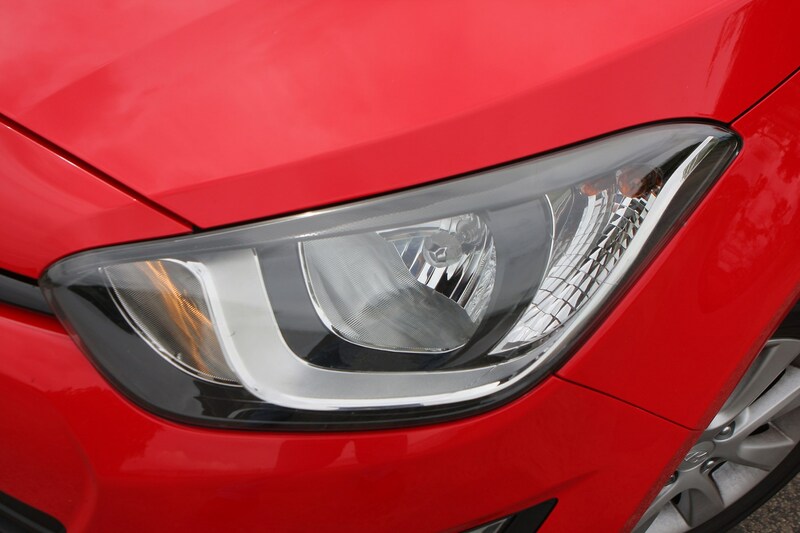 The i20 is also keen in the corners and copes well with bumpy roads. 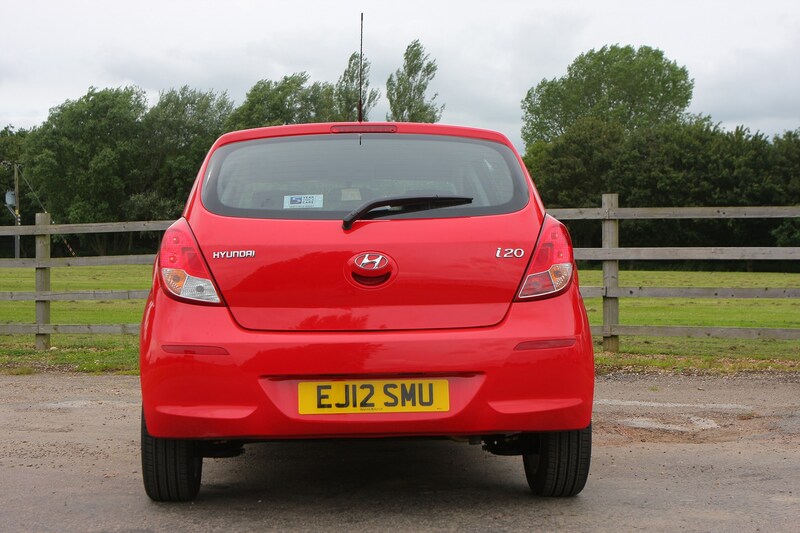 This makes the Hyundai i20 a good bet for anyone who mixes town, motorway and rural driving duties, though be careful which engine you choose if motorways feature more prominently than any other driving commitments. 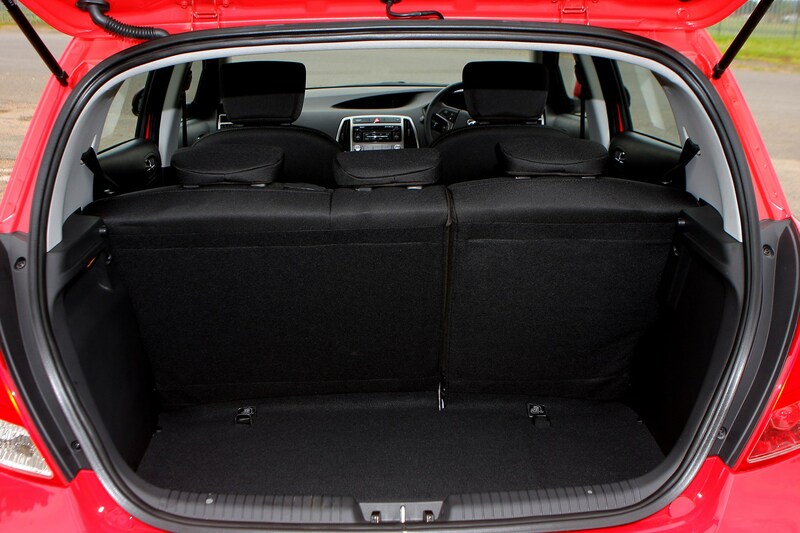 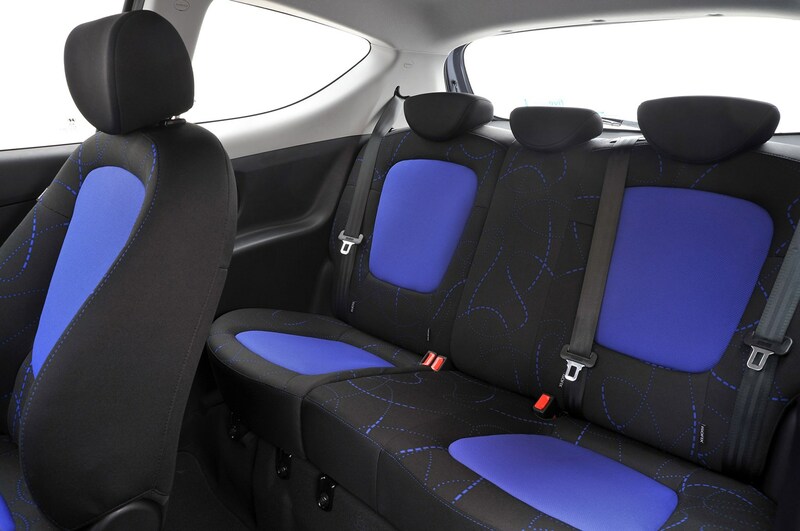 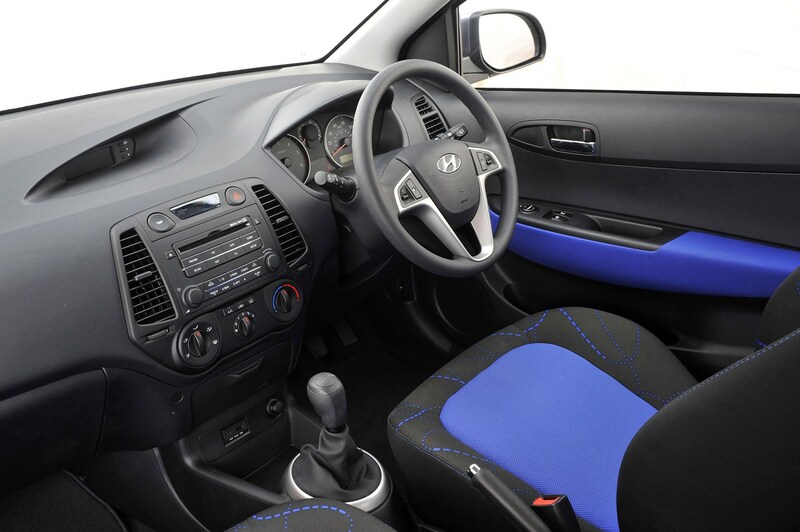 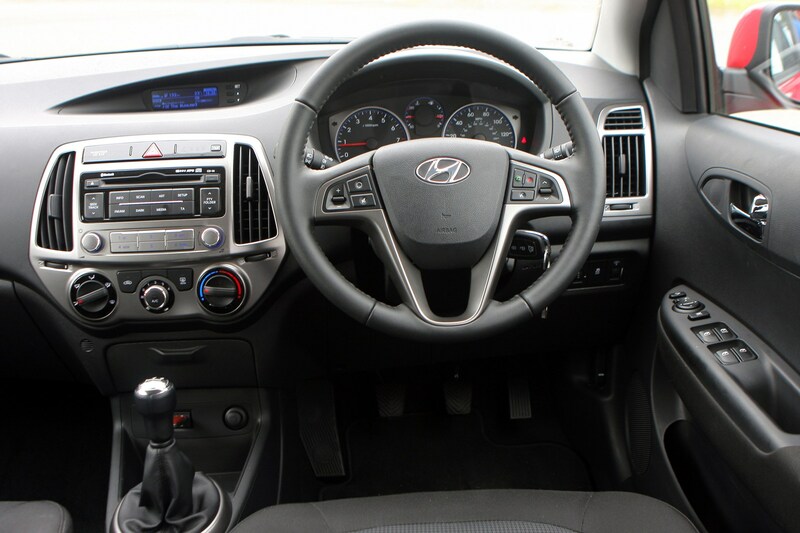 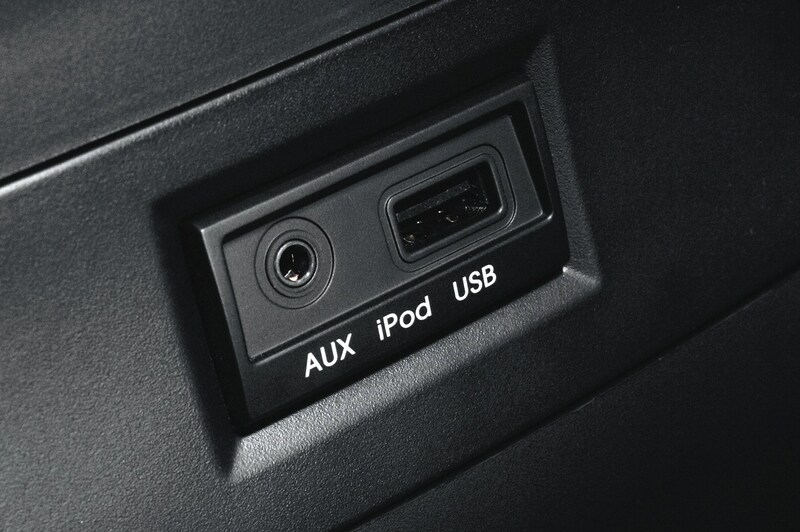 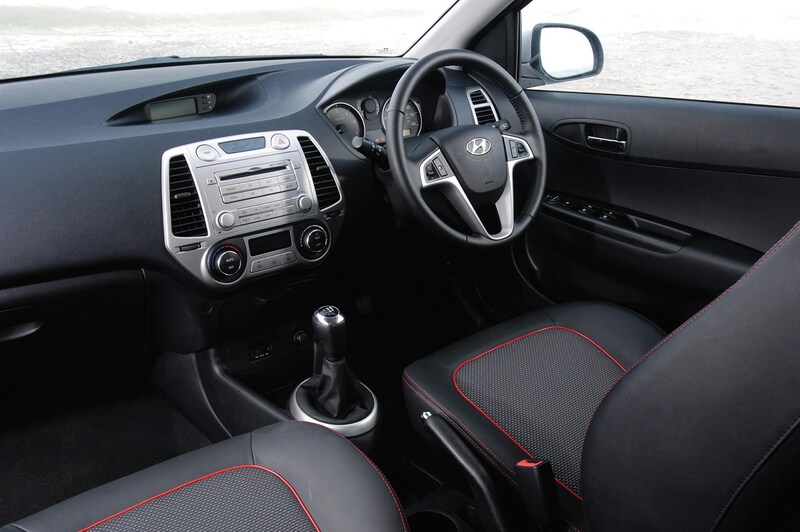 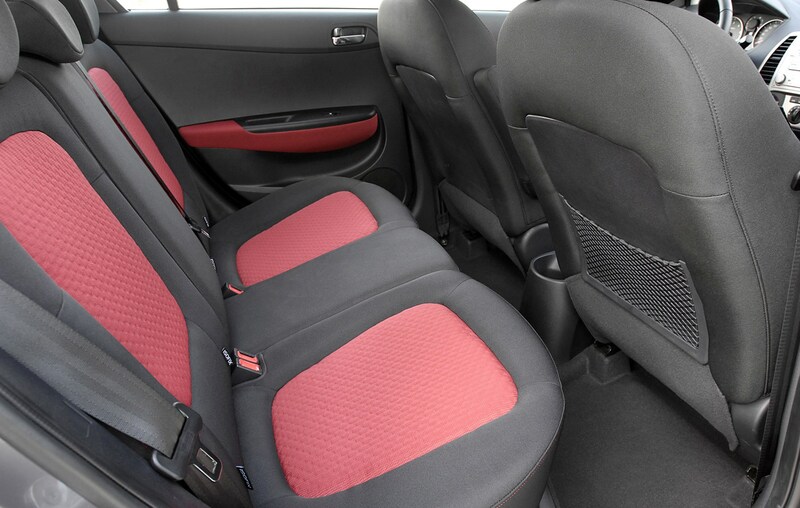 The look of the Hyundai i20’s cabin is pleasing thanks to its simple, uncluttered style. 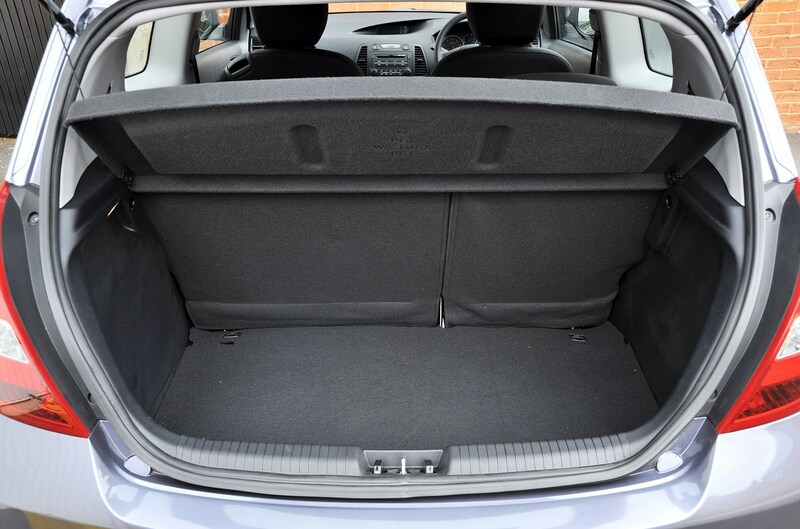 However, there’s no getting away from it feeling a little no-frills and plasticky compared to the likes of the Ford Fiesta or Volkswagen Polo. 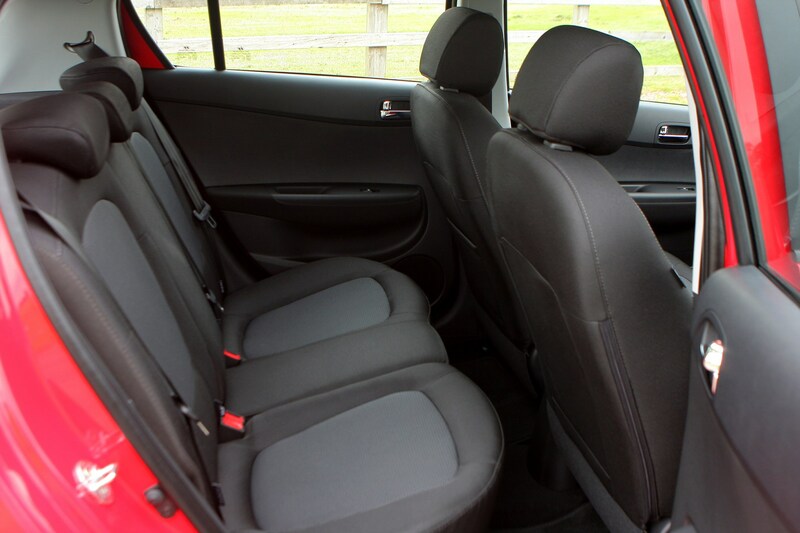 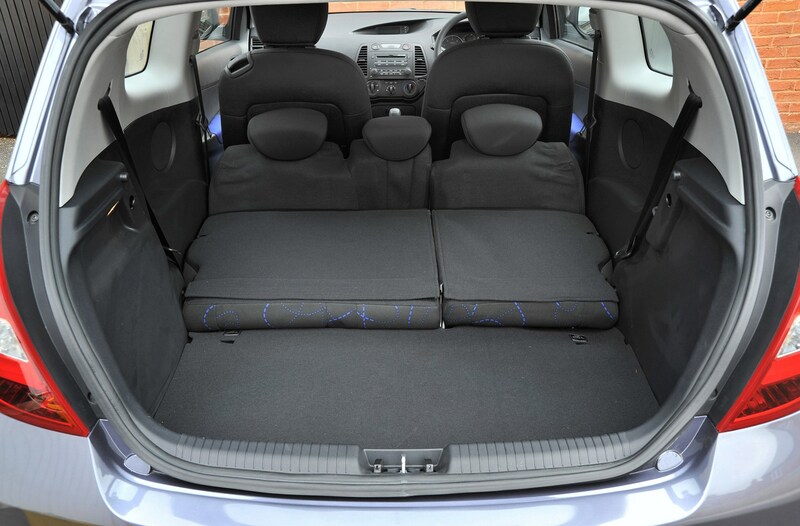 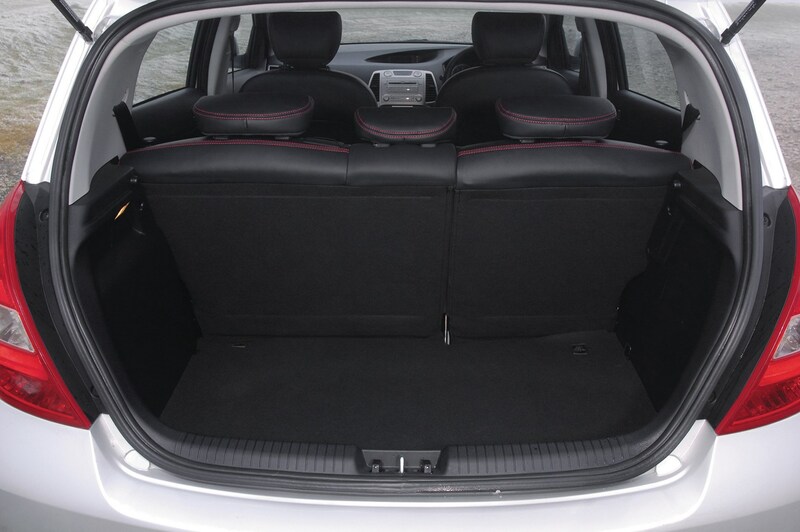 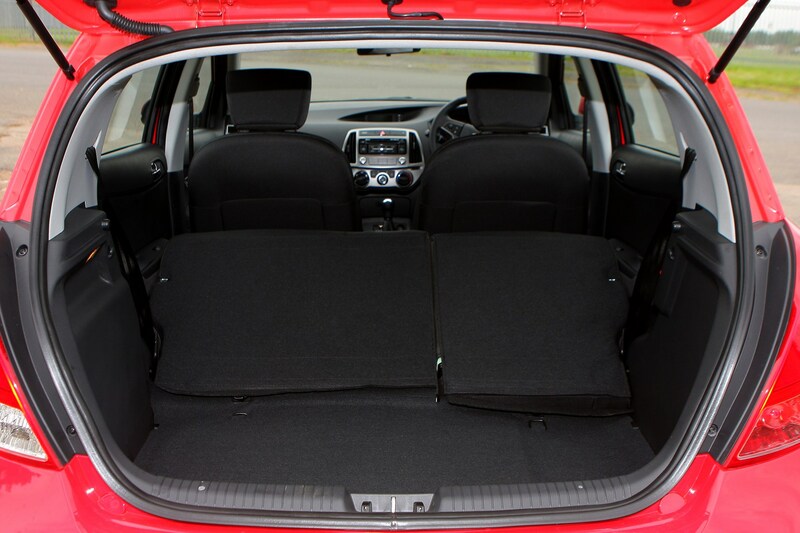 There’s good space front and rear for passengers, but the seats are a little thinly padded so comfort can become an issue on longer journeys and cause the driver and passengers to start fidgeting. 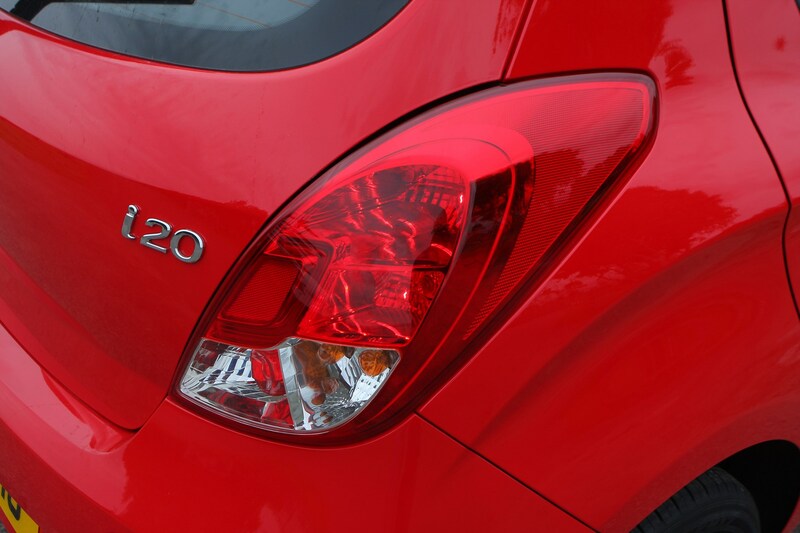 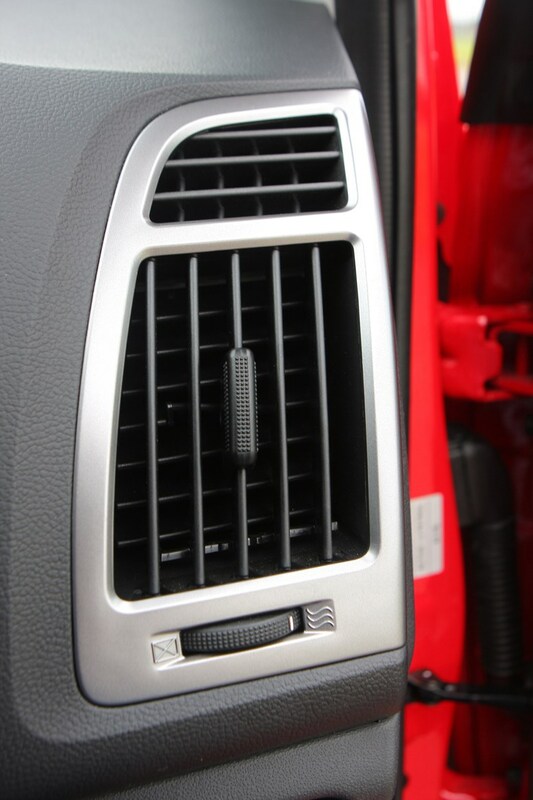 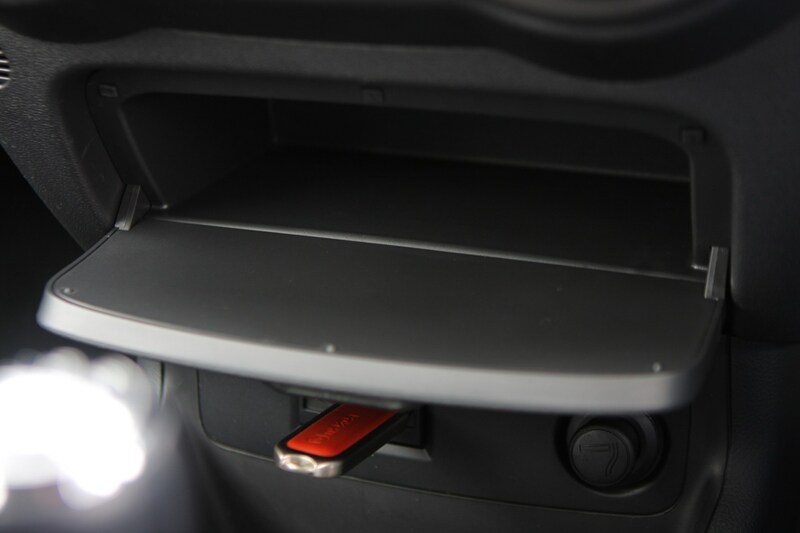 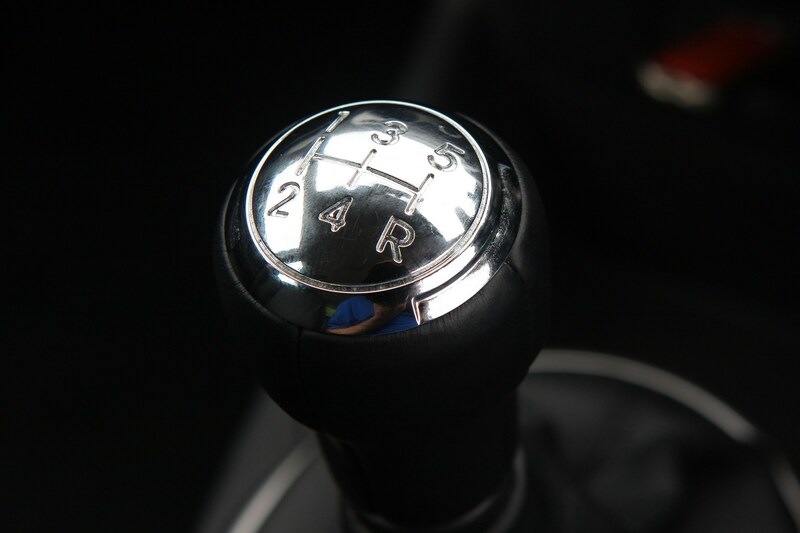 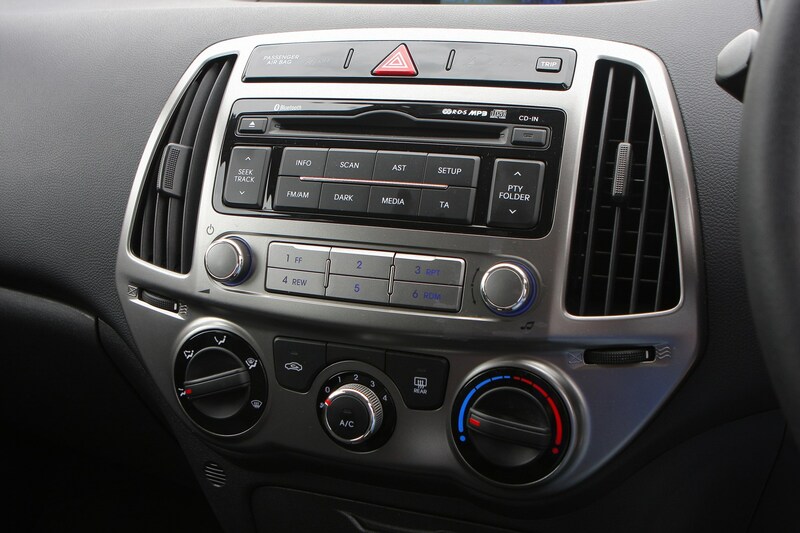 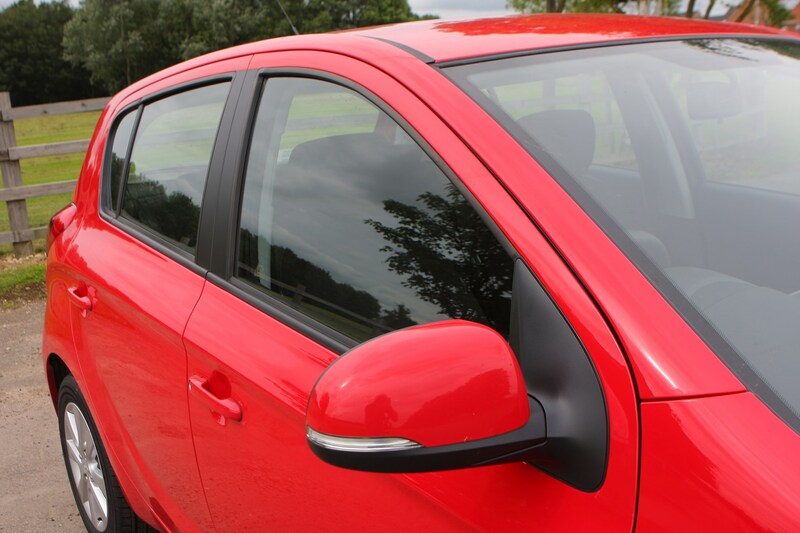 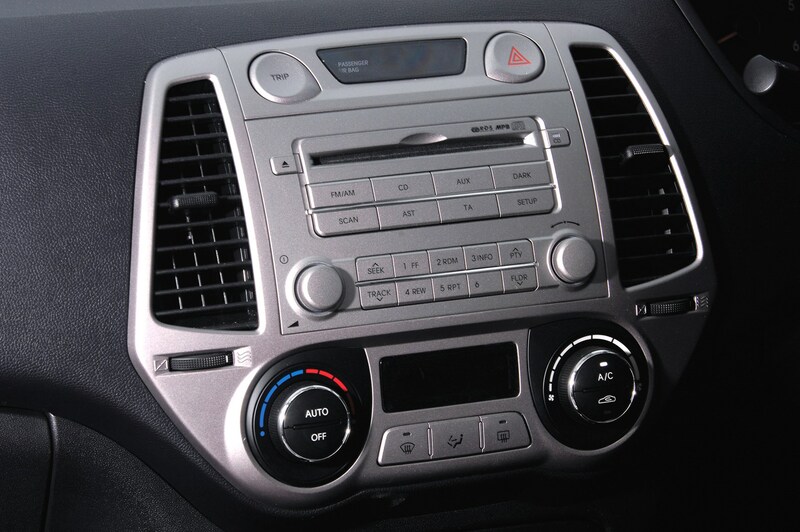 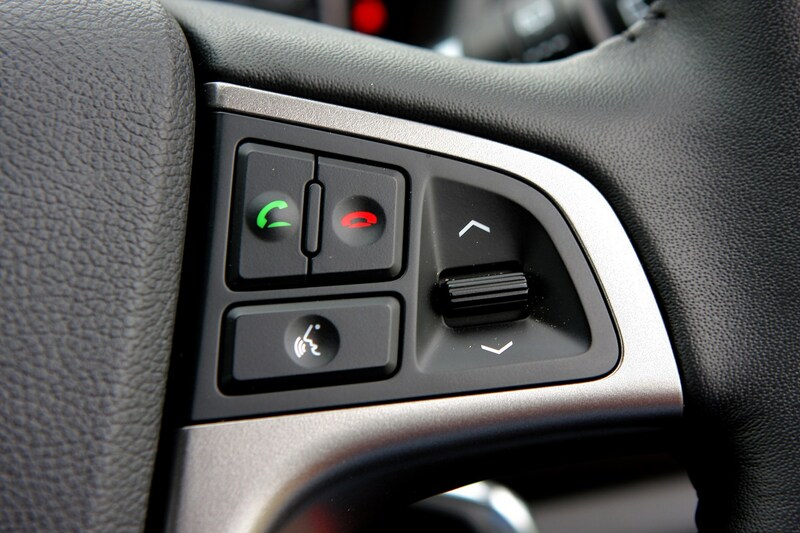 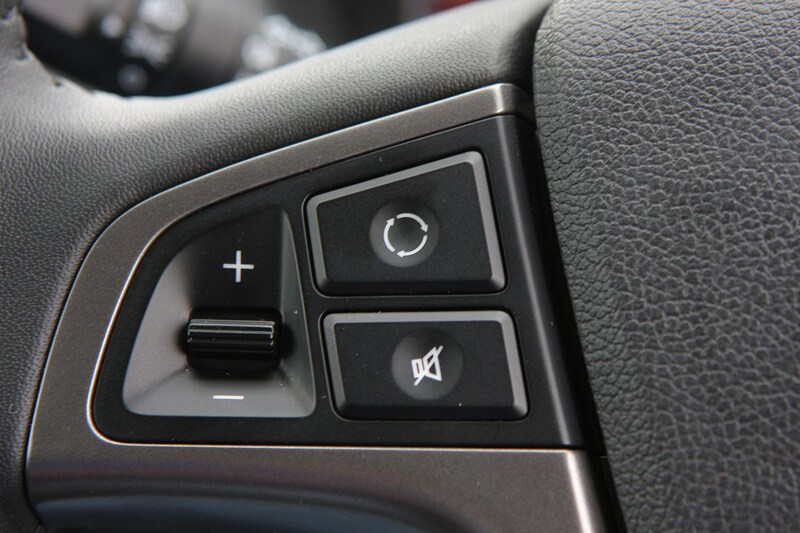 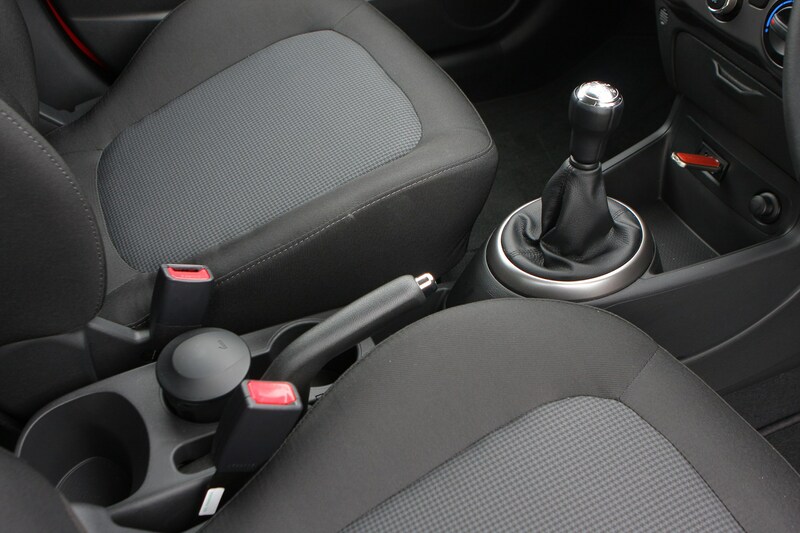 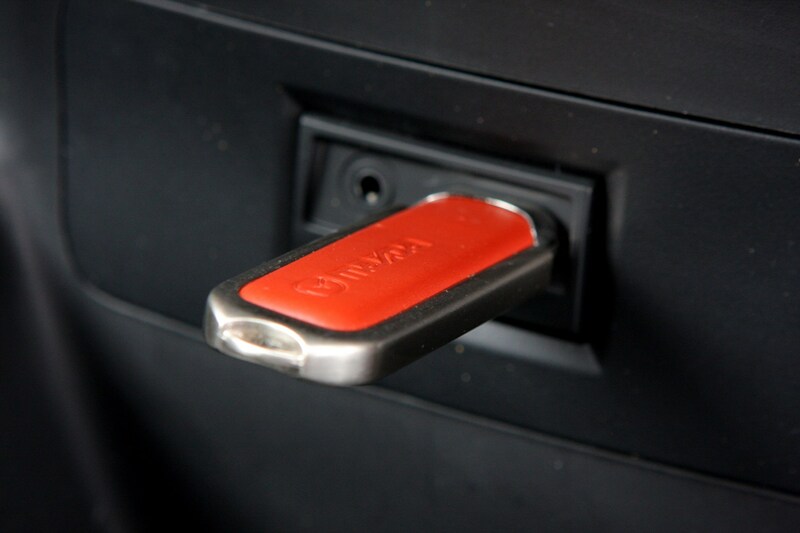 However, the i20 is well equipped and even the base model includes air conditioning and electric front windows. 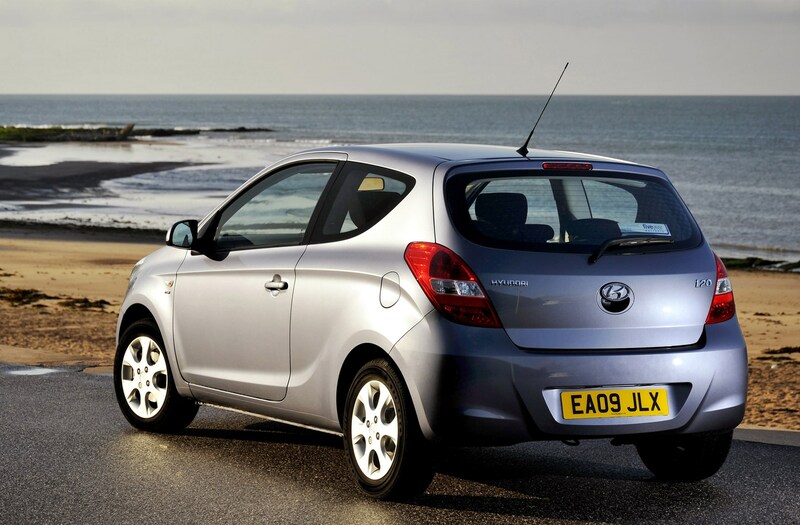 So can the Korean firm hope to steal sales from the established titans in the sector? 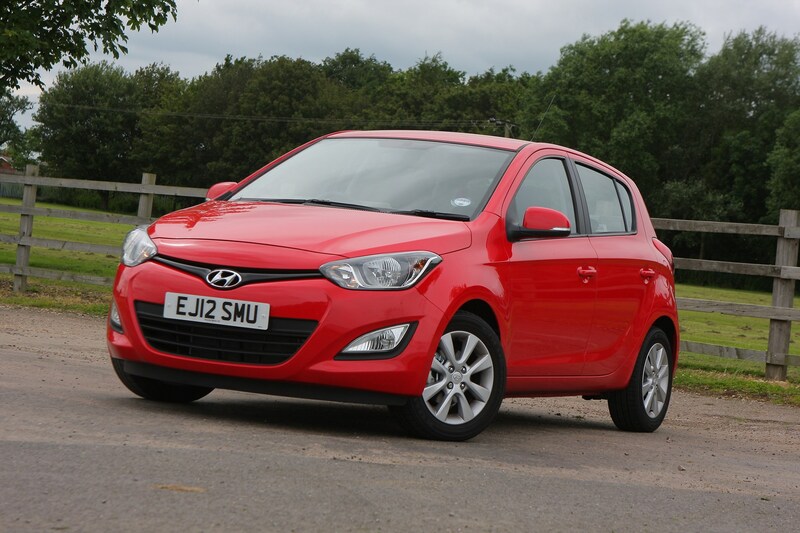 Read on for our Hyundai i20 review to find out. 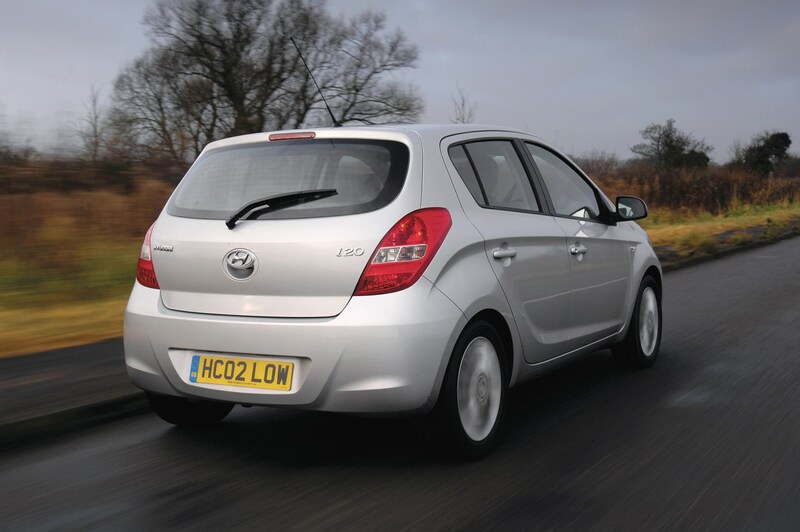 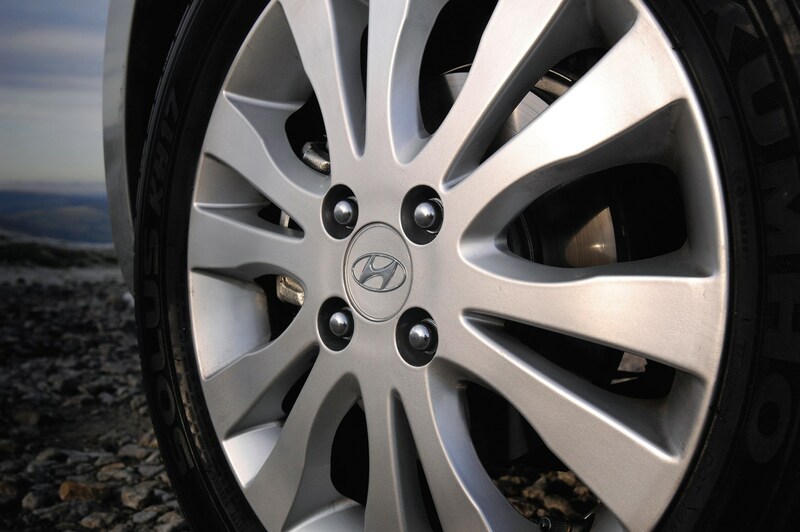 Did you know the most popular review for the i20 range is the Hyundai i20 Hatchback review.